Summary: Wouldn’t it be nice if we could all get along despite our differences? 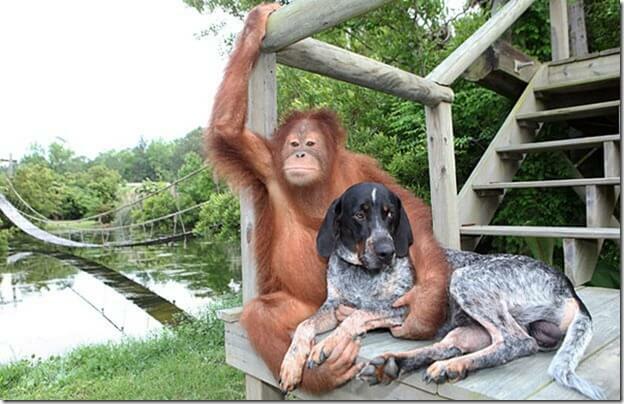 An orangutan named Roscoe loves spending time with this dog. 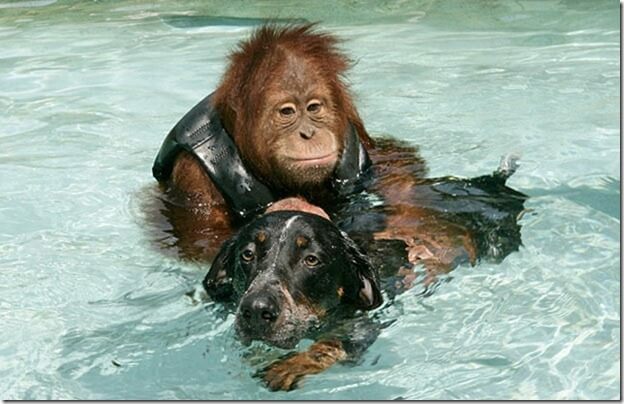 They live in Northern California where swimming is their favorite past time, although Roscoe (the orangutan) is a little afraid of the water and needs his friend’s help to swim. 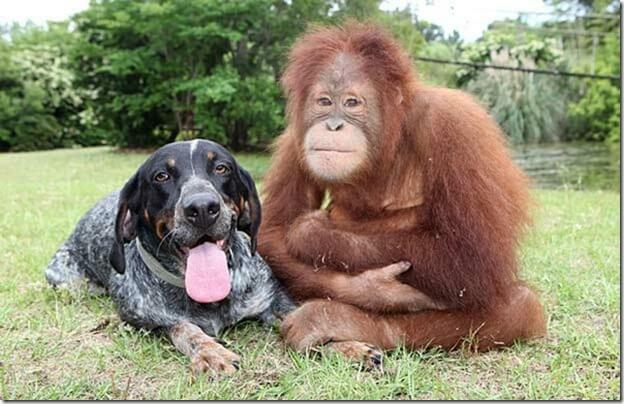 The two lost souls met and have been inseparable ever since. 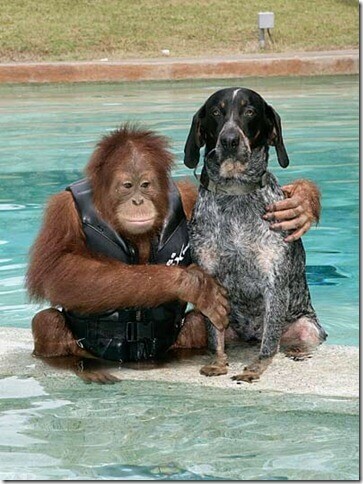 The orangutan found a new reason to live and each always tries his best to be a good companion to his newfound friend. They are together 24 hours a day in all their activities and love to hang out with each other. 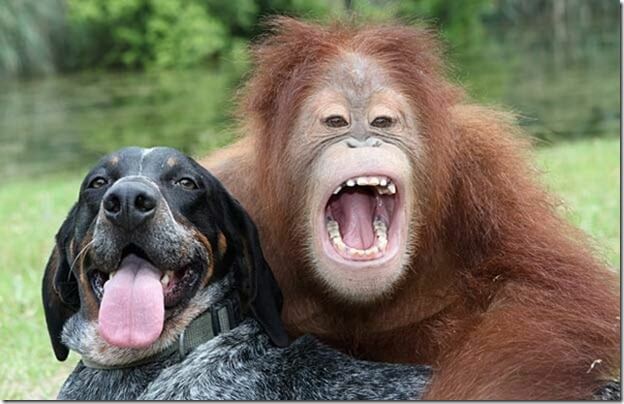 Together, they have discovered the joy and laughter in life and the value of friendship. Some say life is too short, others say it is too long; but, I know that nothing that we do makes sense if we don’t touch the hearts of others. 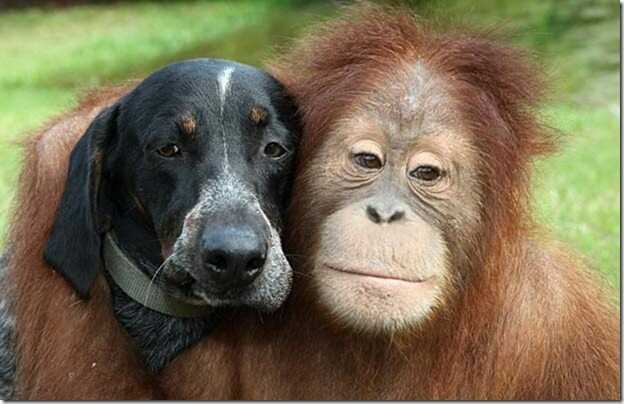 May you always have love to share, health to spare, and friends who care … Even if they are a little hairy at times.